Same as hck above. User-Id used to see how this forum looks to a non-admin user. Real Name: Catherine Atkinson from Hannover, Germany. My interests: 15th an 16th century Renaissance history, Florentine history. Additional information: Philosophy student at LMU Munich. 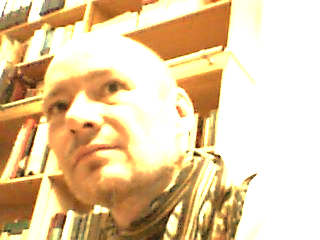 Research interests: Scipione Capece, Reception of Lucretius, Neo-Latin didactic poetry. Welcome Pekka! And thanks for posting here! Welcome to our new member Jason van Boom (W4RF user id: VanBoom)! California. I study late medieval and early modern intellectual history. literature (and, hopefully, Neo-Latin and Latin literature in general). Welcome to Andreas Fischer (Fischer)! Andreas Fischer's user-ID on this forum is Fischer, and he will teach here in Munich one of the tutorials to our propedeutical course next term. Welcome to John P. McCaskey! late Renaissance and early modern. Welcome to members of the Web4Ren email d. list! I will shut down the old email distribution list - which was in its functionality de facto replaced by this forum here more than a year ago - sometime in early autumn. Some of the members of said list have decided to become members here. And they are welcome. Thanks in advance to each of them (you!) who uses this thread here to introduce herself/himself! Welcome to Francesco Borghesi, whose user-ID on this forum is fborghes! Welcome to Cristina Perissinotto, whose user ID here is Cristina! Welcome to William Stenhouse (user ID: willsten)! Yeshiva University in New York, and currently book review editor at RQ. The section of this forum dedicated to Publications without open access might be one place to use for such suggestions (in addition to mails and PMs directly to Will, and of course except for suggestions to review open access publications ... ... ). Welcome to James Dougal Fleming! Welcome to James Dougal Fleming, whose user-ID here is JD_Fleming! Wellcome to Vera Keller (who is VeraKeller on this forum here)! the Early Modern Studies Institute, the Huntington Library/USC. Posting this to the new members thread is fine. Welcome to Theodor W. Dunkelgrün (who is twd on this forum here)! Welcome to Sandro Burgio (who is Burgio on this forum here)! Sicilia nell'epoca di Filippo IV*" (Catania, 1998) and *Appartenenza e negozio. "costantia" in Giusto Lipsio* (Soveria Mannelli, CZ, 2009). Welcome to Cecilia Muratori (who is CMuratori on this forum here)! Welcome to Eva Del Soldato! Welcome to Eva Del Soldato, who is Evadel on this forum here!